The seventh edition of The Private Equity Review follows a turbulent and at times nerve- wracking 2017. It was also a year in which private equity demonstrated its strength as an asset class in spite – perhaps because – of that turbulence. Deal activity and fundraising were strong in almost every major market despite fierce competition from public strategic buyers and strong returns in other asset classes, demonstrating private equity’s ability to adapt quickly to changing conditions to find profitable investment opportunities. As a result, we expect private equity will continue to play an important role in global financial markets, not only in North America and Western Europe, but also in developing and emerging markets in Asia, South America, the Middle East and Africa. In addition, we expect the trend of incumbent private equity firms and new players expanding into new and less-established geographical markets to continue, although recent protectionist trends remain a risk factor. While no one can predict how 2018 will unfold, one can confidently say that private equity will continue to play an important role in the global economy, and will likely seek to expand its reach and influence. It remains to be seen how local markets and policymakers respond. 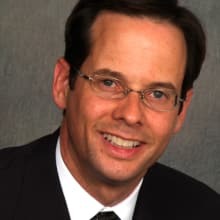 Private equity professionals need – now more than ever – guidance from local practitioners about how to raise money and close deals in multiple jurisdictions. This review has been prepared with this need in mind. 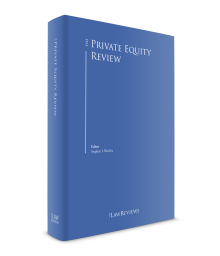 It contains contributions from leading private equity practitioners in 27 different countries, with observations and advice on private equity deal-making and fundraising in their respective jurisdictions. As private equity has grown, it has also faced increasing regulatory scrutiny throughout the world. Adding to this complexity, regulation of private equity is not uniform from country to country. As a result, the following chapters also include a brief discussion of these various regulatory regimes. I want to thank everyone who contributed their time and labour to making this seventh edition of The Private Equity Review possible. Each of them is a leader in his or her respective market, so I appreciate that they have used their valuable and scarce time to share their expertise.